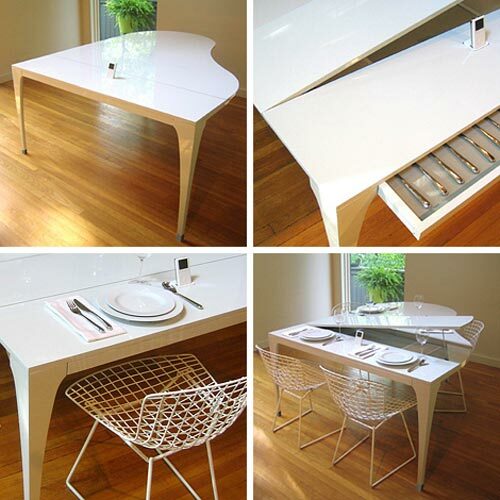 If your home isn’t geeky enough, you may want to have a look at the Concerto Dining Table with a built in iPod dock. 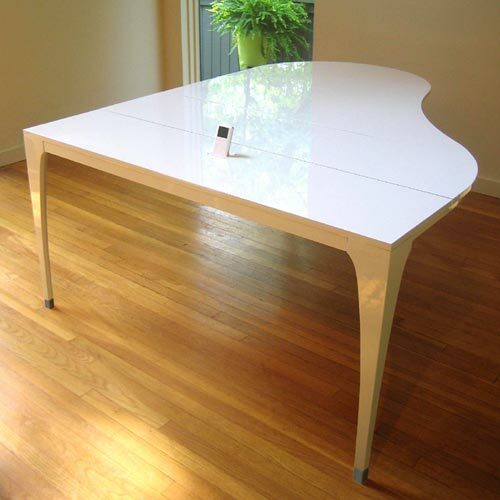 This funky dining table is shaped like a piano, and has a built in docking slot for you iPod. It even comes with a remote so you are in control of your iPod, and there is even a hidden drawer to store your cutlery in. It’s not cheap though at a massive $14,000, if you are interested the Concerto Dining Table is available to buy online from Lovegroove & Reppuci.